Protecting your gutters is very important. Gutters are a pretty large investment, and keeping them protected can help to ensure that your investment is taken care of down the road. Gutter screens can be a great way to keep debris out of your gutter system. They are actually one of the more popular methods for protecting your gutters, mainly because they are such an affordable option. The fact that they are so easy to install also makes them a very attractive option. The truth is, your rain gutters can not really function properly if they are not clean. Your gutters can become a catch all for leaves, pine straw, and other types of debris. The rain gutters are used to help direct water away from your home. Without proper removal of pooling water around your home, you may face infrastructure issues, flooded walkways, and leaks. This can really be costly over time, and can even lead to long term problems with your home or business. If you have ever checked into the cost associated with having your gutters cleaned, you know that it is not a cheap expense. Cleaning out your gutters can take a lot of time, and it can also get pretty messy. You also have to get pretty high up, so if you are afraid of heights that can be a problem. There are also certain tools that make getting the debris out of your gutters easier. It is a good idea to clean your gutters at least annually, if not twice per year. Most gutter professionals recommend that it be done in the fall and in the spring. Sometimes, however, you may even have to do it more often. This is especially true if you live around a lot of trees, or if your climate stays pretty wet. One of the easiest ways to keep your gutters clean and allow you to avoid the annual maintenance is by installing gutter screens. They can help you to have peace of mind that your gutters are functioning properly, without you having to spend a fortune to have them cleaned, or get up there to clean them yourself. 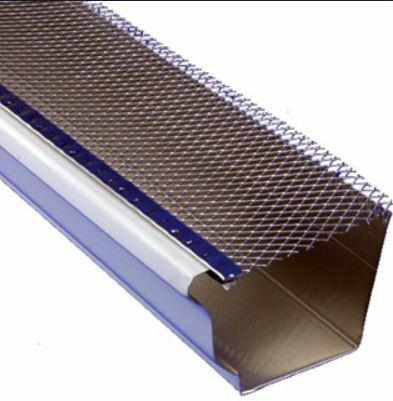 Gutter guards come in a variety of different styles. Gutter screens are just one of the more popular choices. Screens have been popular for many years. There are a couple of different styles to choose from. You can choose from plastic gutter screens or metal gutter screens. These are just the two most popular screen options. Gutter screens are often chosen over other gutter guards because they are very affordable. They are also really easy to install. This makes them the least expensive when it comes to both parts and labor. The only problem is that they are not usually 100% effective at keeping your gutters clean and free of debris. Some small bits of debris may still be able to get past the screening. If you choose metal gutter screens, there are a lot of different options to choose from. 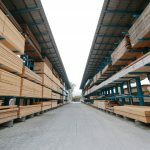 They can be used for hinged gutters, half round gutters, and even K-style gutters. They are found in a variety of different metals, including durable steel and copper. They are even available in a drop in style, which makes them really easy to install. This is the design most often used with K-style gutters. These are also the gutters that typically get clogged easier without some sort of protection, like a gutter screen or gutter guard. Gutter screens are really popular, but gutter covers are another option that people consider. They do have a lot of similarities, but they are also quite different. These covers, rather than screening debris, will actually cover the entire gutter system. They are made with a permeable material that will allow water to get in. Another popular choice is a foam gutter filter. This is basically a foam insert that goes down into the gutter and helps to keep debris from getting inside. The problem with these foam inserts is that they are notorious for harboring mold and insects. This is why a lot of contractors tend to steer away from the foam gutter filters. Gutter screens still remain one of the best options when it comes to keeping your gutters clean and free of debris. Perhaps one of the biggest benefits is that fact that most gutter screens can be installed yourself. Either way, they are extremely easy to install, making them one of the more affordable options. Gutter screens are really pretty good at keeping out large debris, such as leaves. They are also really available, so you don’t have to shop around for them everywhere under the sun. They are not difficult to come across. They are also available for many different types of roofs. Whether you have a shingle roof, a steel roof, a slate roof, a wooden roof, or a tile roof, gutter screens are going to be ideal. They are even good with old shingles that are more brittle and worn. As you can see, there are quite a few advantages of going with gutter screens to protect your gutter system. To install gutter screens, you simply cut them into sections that will fit your gutters, and then wedge them in between the fascia and the gutter. You don’t even really have to fasten them down anywhere. 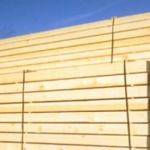 You can choose from both metal and plastic screening as well, depending on your preference. Some screens can be screwed down, to keep them in place better. There are certain types of gutter screens that are made to be fastened down, while others can just be wedged into place. 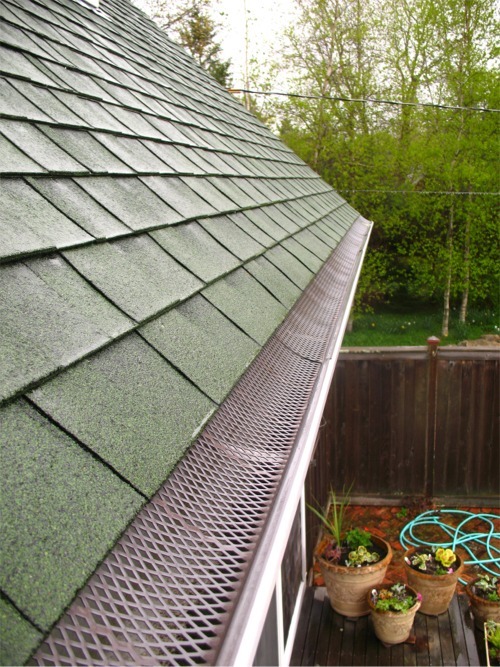 Typically, metal gutter screens are most often fastened down, while plastic gutter screens are usually a drop in style. 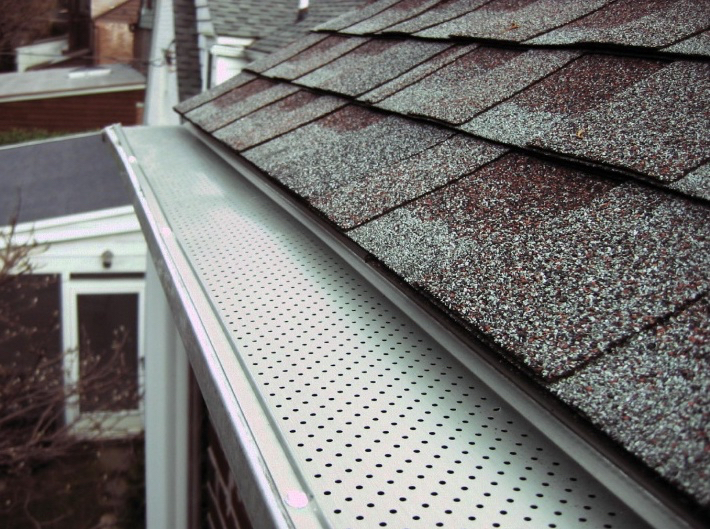 You can even choose a type of gutter screen that can be slid up underneath your shingles. This helps to keep the mesh screening in place, while still making it easy for you to take it off and check your gutters from time to time. You don’t have to fasten this down, as long a your shingles make way for you to slide the screens up underneath them. While gutter screens are one of the most popular ways to guard your gutters, they are not fool proof. They can be found in a wide variety of materials and shapes. They are also wonderful at keeping out leaves and other large debris. They do, however have some drawbacks. First of all, they usually have larger openings that can allow smaller debris to pass through. This may make it less successful at keeping out seeds and pine straw. You may still have to clean your screens from time to time. It is also really important to understand that gutter screens are not immune to becoming clogged. You will still have to get up there and check your gutters regularly to ensure that they are still functioning properly. If you are not in a region where pine needles are a concern, or around trees with a lot of seeds, then the screens may be the perfect option for you. Just remember, you will still have to clean the gutter screens. They are not the easiest to clean either, because sometimes debris can get tangled up in the screening. This means that you can’t simply just wash them clean or blow them with a blower. Often times it takes more work to get them clean, but it is still better than having to clean out your entire gutter system. You also have to consider the type of material used for the screen. Plastic screens may be cheaper, but they can also be damaged by the UV rays from the sun over time. This is something to keep in mind. There are also some limited color options, but the good news is that you do not usually see the screens inside of the gutters. Are Gutter Screens Right for Your Home? Deciding which type of gutter protection system to use is not an easy endeavor. Gutters can be quite pricey, but the damages caused to your infrastructure due to a faulty gutter system can be even more expensive. 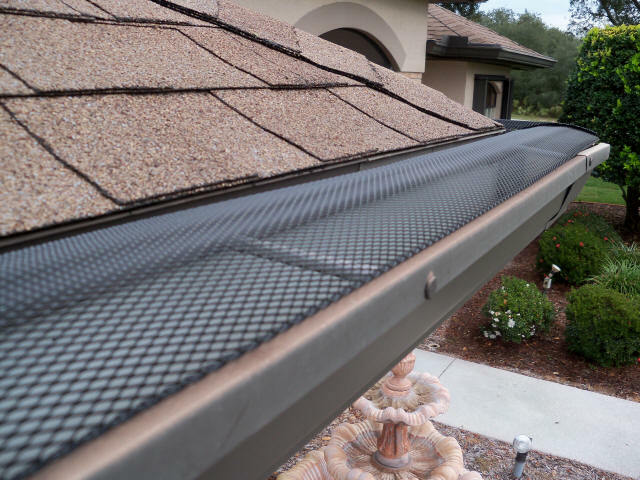 While there may be some other gutter protection systems and gutter guards that may require less maintenance, gutter screens are a great option if you are on a budget. They are really inexpensive, and can still protect your gutters. 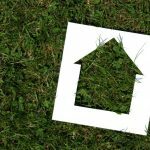 If you live in an area that is prone to leaves and pine needles from nearby trees, however, you may want to opt for a different type of gutter guard. This may help to save you a lot of time and hassle down the road. Just talk to your contractor and see which type of protection is going to be the most suitable for your gutters.